Audio work that isn’t guitar-specific or composition. Mainly hardware work! 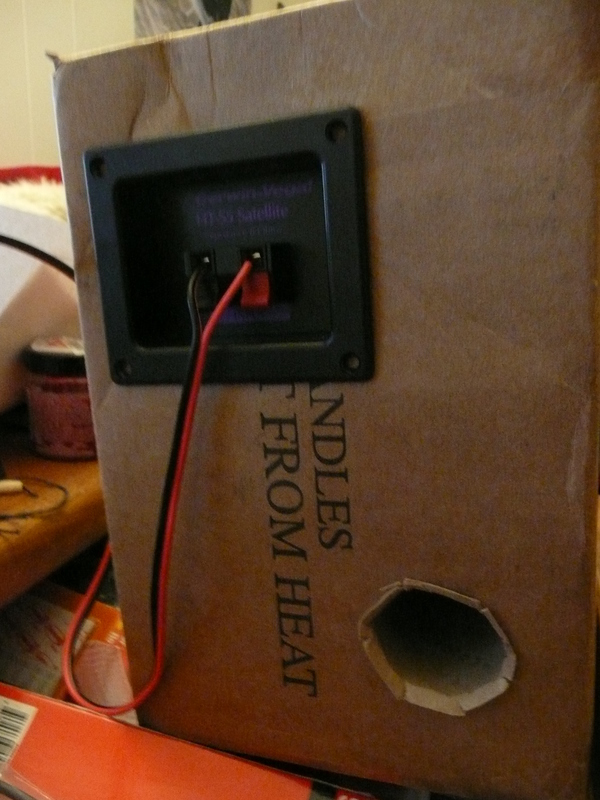 It turns out that for the enclosure size I’m using, a toilet paper tube is exactly the right size to create a port tuned to 62 hz, and my speakers have a frequency response down to 55 hz. In other words, I jammed a toilet paper tube into my box and now I have a beautifully clear, open bass response. Cool, eh? P.S. This is called a bass reflex system. * The pictures are blurry because the monitor generates a lot of reflected glare and I’m too lazy to figure out how to get clear pictures in those lighting conditions. * Yes, I know it’s messy! My desk is covered with electronics right now. It gets cleaned every so often, but screw taking pictures of that. 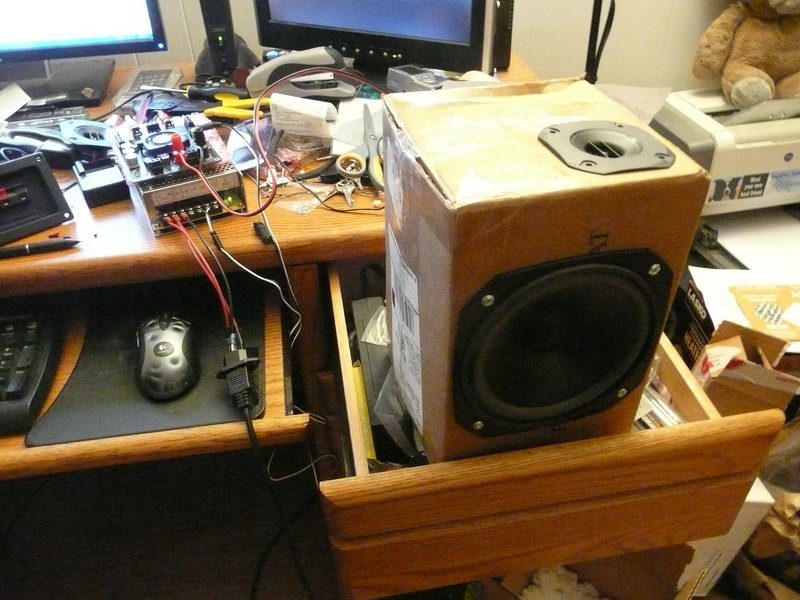 * That cardboard box bookshelf speaker actually sounds really good. Response does fall off below 55hz though. 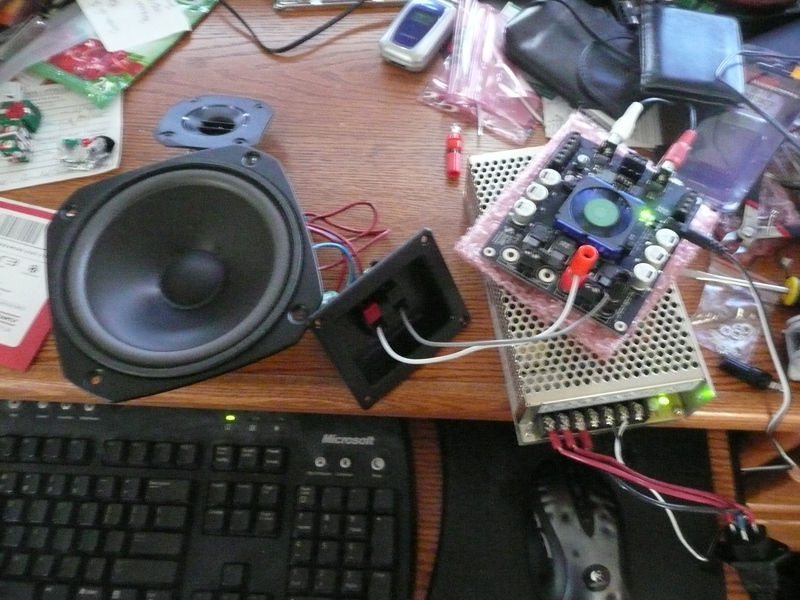 * The amp is probably capable of delivering 60W/channel into these 8 ohm duos, and they’re 93 db at 1W/1m. 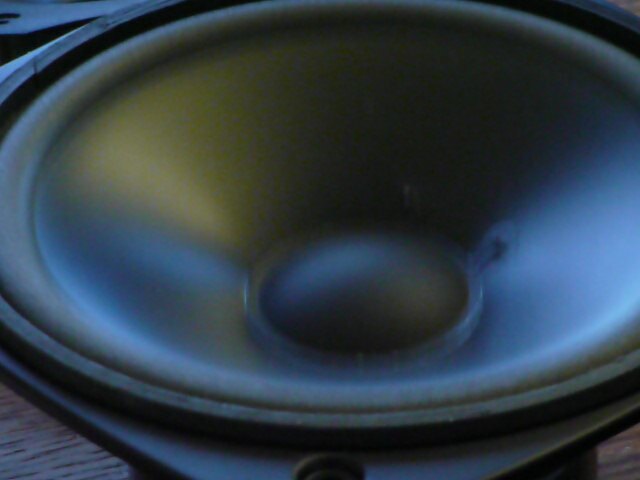 It can get very, very loud.